Sunday: 8:30 A.M. - 6:00 P.M.
Tamale Hut Cafe is a Tamale House or Tamaleria where you may purchase the most delicious homemade tamales, chili, tinga, elote, and other delightful homemade Mexican foods. Using an old family recipe, our tamales are hand-rolled and made fresh daily, to ensure the great taste. 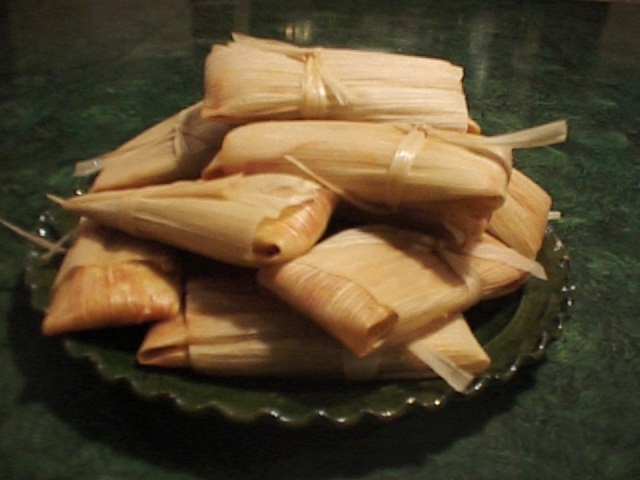 We offer a variety of tamales, from traditional pork or bean to spinach or broccoli. Please see our menu for a complete product listing. We are not a coffeehouse but a destination - a place to dine on traditional homemade cuisine, cater your next party or event, or enjoy artistic monthly events. Tamale Hut Cafe's menu features not only fantastic homemade tamales, but great tasting coffee and non-coffee drinks, gourmet salsas and Mexican popsicles (paletas, seasonal). A trip to the Tamale Hut Cafe is gratifying, and a learning experience for our customers. Tamale Hut Cafe opened on January 16, 2006 at 8300 W. Cermak Road, North Riverside, Illinois. Anticipating success we are planning to open more Chicagoland Tamale Hut Cafes in the future. Our growth and success depends on providing great tasting traditional homemade Mexican cuisine, and great customer service. At Tamale Hut Cafe our customers are treated like family. Visit us today and join the Tamale Hut family!